It is amazing how culture, religion, spirituality and philosophy acquire idealistic meanings under varied contexts and spaces. And most often when these feelings trigger larger perceptions in a society, it is pleasant to see how they influence towards greater relationship and people friendly environments. These expressions are outcomes of an observation of how organizations and social groups react to and interact with alien atmospheres to celebrate art! The performing arts circle of Austin concerted to glorify our ‘Ideal God’ Rama, on the occasion of Ramanavami through classical music and dance presentations. For its name, it was a first encounter with Austin’s cultural milieu, but the reverberations were nothing close to new, for once inside the closed doors of the auditorium, it seemed akin to any of the Ravindra Bharatis, Ravindra Kalakshetras or Bhavans. A breezy Saturday afternoon and parents and (restless) siblings of young dancers dressed in the best of Indian attires waited for their turn on stage walking through the exits and entries and stuffing themselves with pongal and pizzas! 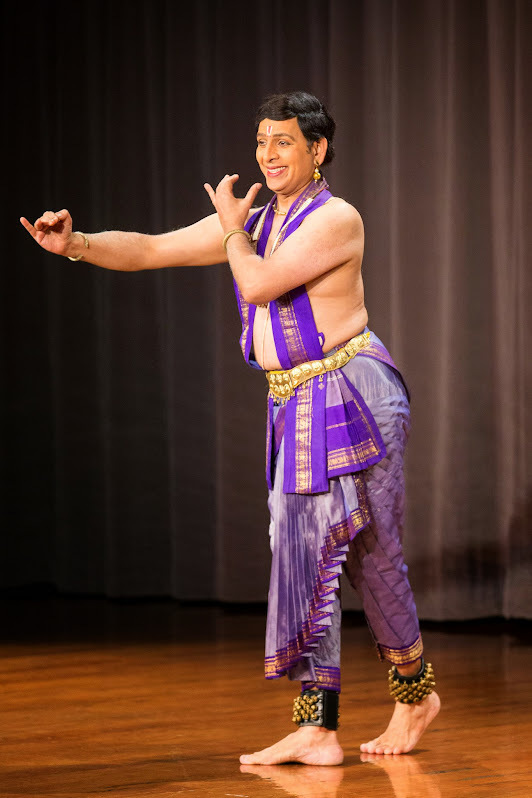 The India Fine Arts association, a premier organizer with decades of serving the Indian arts in this part of the world, played its best role to host almost the entire dance fraternity in and around Austin. As Smt. Janaki Nagarajan puts it “I wanted to create a platform and occasion for the local talent distinct from special festivals for invited artistes from India. 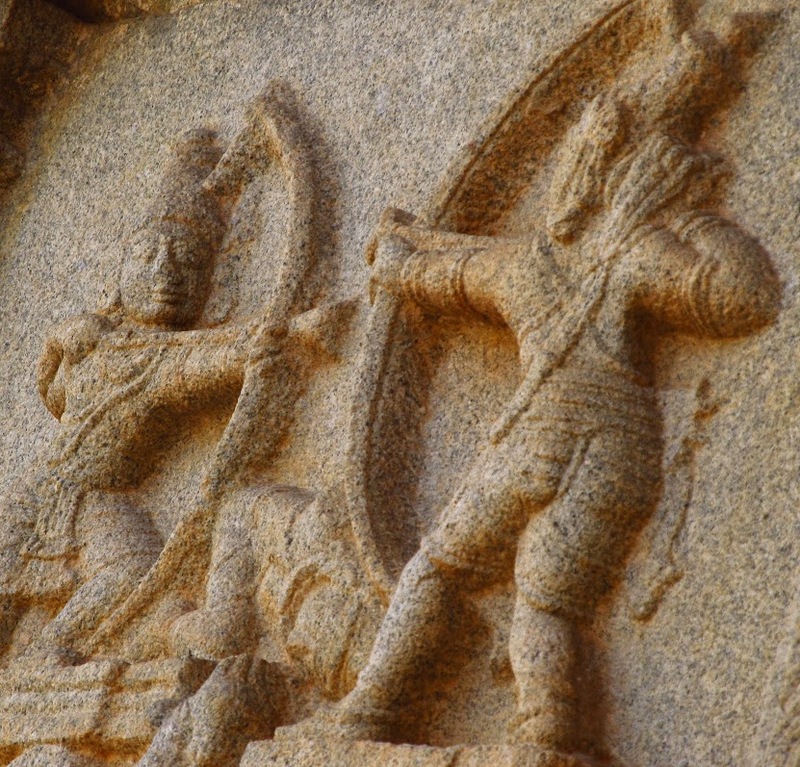 The celebration of Ramanavami thus started with initial Bhajan and music performances, dance being a latest addition”. With such humble beginnings, the organization has worked relentlessly in making the IFA a sought after platform over the years. Dr. Sreedhara Akkihebalu, a unique artiste who combines being a medical practitioner turned dancer/teacher, and taking to Yoga as a way of life, holds in him a legacy of the old school tradition of Bangalore, much to its glory. Some of the rare compositions by him along with newer compositions by his students were blended to Tulsidas’ select and rich poetic verses in Avadhi and Brij. A beautiful narrative of a seldom told scene from Ramayana – the first meeting of Rama and Sita served a signature piece. Dr. Sreedhara extolled in exquisite and multilayered portrayal of Rama and Sita as they share first glances and exchange feelings amidst beauty of nature. The poetry offering metaphors for all its components – the characters, nature and verses themselves found highly corresponding flavours in dance through colourful abhinaya and soulful music compilation. While, for one set of his students, it was a good stage exposure, Aruna Kharod is a young artiste with a good future, given some serious polishing and nurturing at this right time. After considerable time spent in Hyderabad imbruing in all the Telugu culture, I cannot but marvel the language and abundant resource of literary content it has offered to music and dance. And if it is celebration of Rama, then Tyagaraja will make his choicest presence. Pavithra Ramadoss, Samhita Kosuru and Sangavai Ganesh presented episodes from the popular Tygaraja Ramayanam creating an initial De ja Vu, an instinct that comes from multiple watchings of Dr. Ananda Shankar Jayant and Venu Madhav’s rendition of the production. The group patterning though gave characteristic representations to a known mythology, the vocabulary of dance could have been punctuated over and above the dramatic element. An ambitious group of women students gave a short representation for Anuradha Naimpally’s school through another gem of a composition – Nagumomu. One wondered here, if the program could fit in illustrated lectures for such contexts and audiences. This would serve to break the monotony in the least and in a larger interest enhance better understanding of underlying layers like music and literature and their amalgamation as a final product. Especially if senior artistes like Ms. Naimpally could be brought in to extend such approaches. Kuchipudi found its sole representation among continuous doses of Bharatanatyam through a triad by Divya Shanker, Pooja Rao and Anusha Danda choosing one of the pancharatna kritis – jagadananda karaka. The item evinced chaste Kuchipudi with typical muktayis and aradhis. For a linear explanatory piece, it was rightly interspersed with jathis exhibiting explicit intricate patterns executed in high standard despite the fast tempo. Tarangam, which by now has become a predictable ending of a Kuchipudi perfromance, did fill the palate what with the conclusion offering an interesting choreography of the ‘Sita apaharanam’ and ‘Ravana dahanam’. Vinitha Subramanian’s experience and expertise in teaching was showcased through the effervescent Bhavayami raghuramam in all its detailing and in depth format of the song. It could have well been done without the overflowing entourage of dancers in and out of the stage. However, the almost 80’s recording with Prasanna Kumar’s nattuvangam and sholkattu was captured well in the rustic demeanor of the jathis. The final embellishment for me was a sparkling thillana by the younger students of Divya Shanker. Choreographed intelligently and executed in perfect tandem and high confidence, the group of close to ten girls in innovative and attractive costumes held up to the novel music with neat finishing and crisp adavus presented in style. Interludes giving brisk rushes of Rama’s life story without using a sahitya particularly, was refreshing. It is definitely not an easy talk to churn these many young dancers to an equal prowess of good standard in a country where driving and scheduling are more crucial to plan than the actual classes! A new bee in Austin, I may not be competent enough to buzz about a cultural set up that has seen decades of growth and sustenance here, but this effort is to share a celebration that is so intrinsic to growing values in life – art, religion, devotion and festivity all together speaking through different yet similarly tuned bodies and minds. All this does, is perpetuates in you a feeling of stepping out and seeing art and its meaning in different effectiveness than before. As Ms. Nagarajan rightly put it “This program was conceived to bring together art and devotion rather than just putting music and dance on a platform”. Jaya Jaya Rama, Jaya Raghu Rama…….